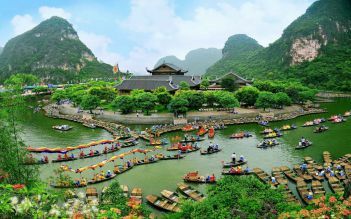 Ninh Binh town, known as Halong bay on land with mountain ranges interleaving in rivers and rice fields. 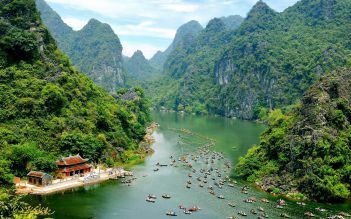 This tour will bring you to this land. 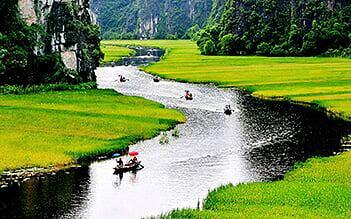 Joining this tour, you have chance to visit both attractions of Ninh Binh. 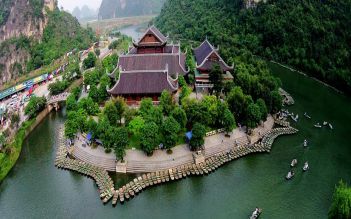 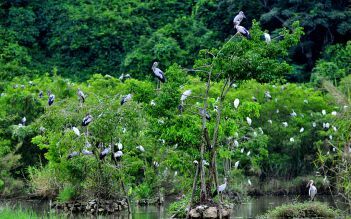 The Bai Dinh Trang An tour in Ninh Binh is very popular in festival after Luna new year holiday! 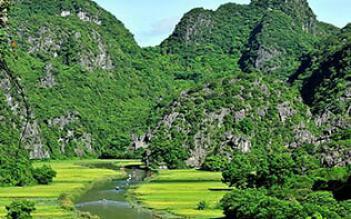 Ninh Binh is situated on the Red River Delta, separating the North and the Central by Tam Diep Mountain Range. 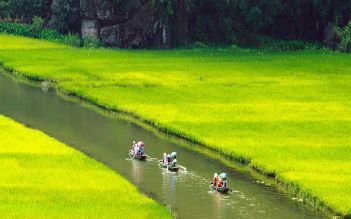 It borders Hoa Binh, Ha Nam provinces on the north, Nam Dinh Province on the east, and Thanh Hoa Province on the west and the south. 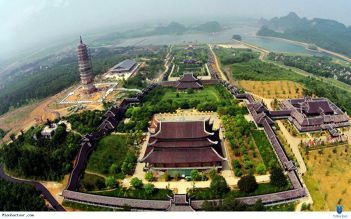 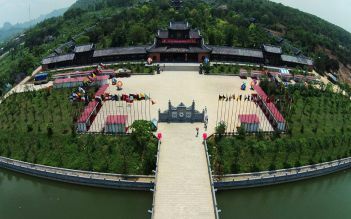 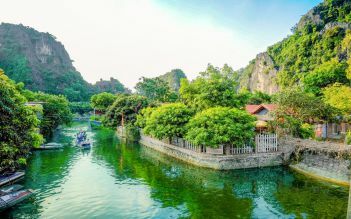 The number of ancient vestiges here may overwhelm any other provinces in Vietnam that Ninh Binh was soon developed as the cultural and political centre of Vietnam since the reign of Dinh Tien Hoang King in 968. 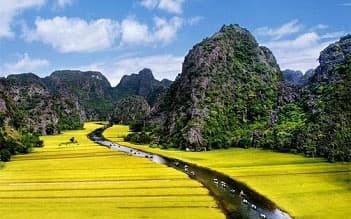 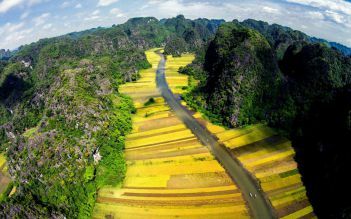 Moreover, the province owns beautiful Tam Coc, Bich Dong, Dich Long, Hoa Son, Tien caves, Van Trinh Grotto and other special landscapes like Trang An Eco-tourism complex and Cuc Phuong National Park.